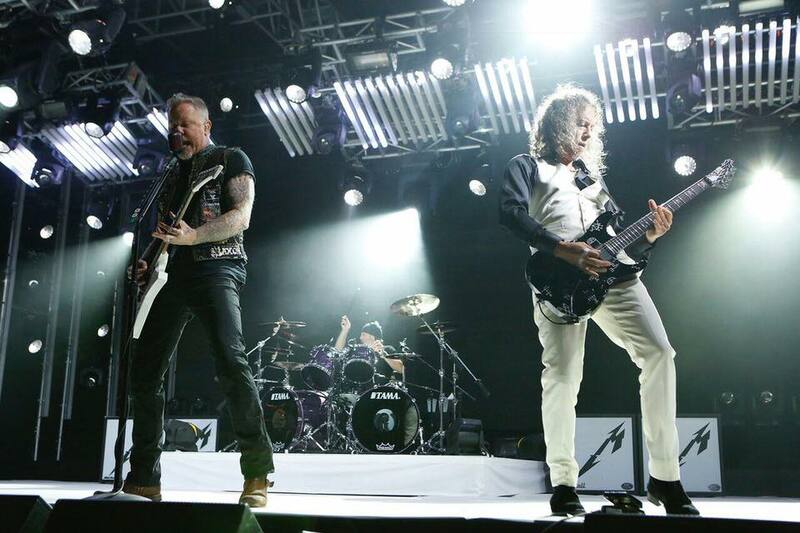 Metallica were featured guests and performers on ABC-TV’s Jimmy Kimmel Live on December 14, and video from the late night program is available. Appearing in support of “Hardwired…To Self Destruct”, the band played a game of "Who Knows Metallica?" trivia with a superfan from Cleveland, OH before sitting down with the host to discuss their first album in 8 years. As part of a six-song set, Metallica rocked “Atlas, Rise!” and “For Whom The Bell Tolls” on the show, and "Creeping Death", “One”, “Master Of Puppets” and “Enter Sandman” for what Kimmel revealed was the biggest crowd for a live performance in the program’s history.